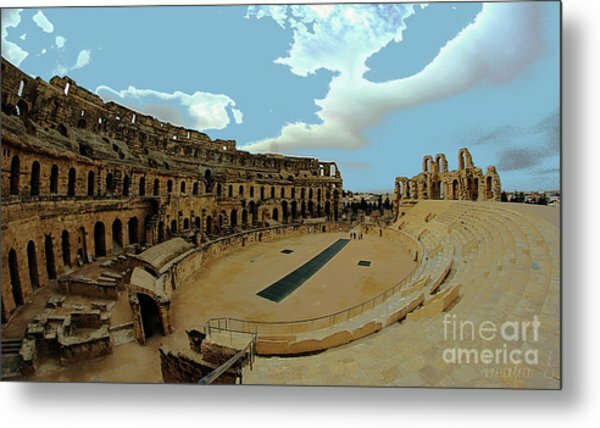 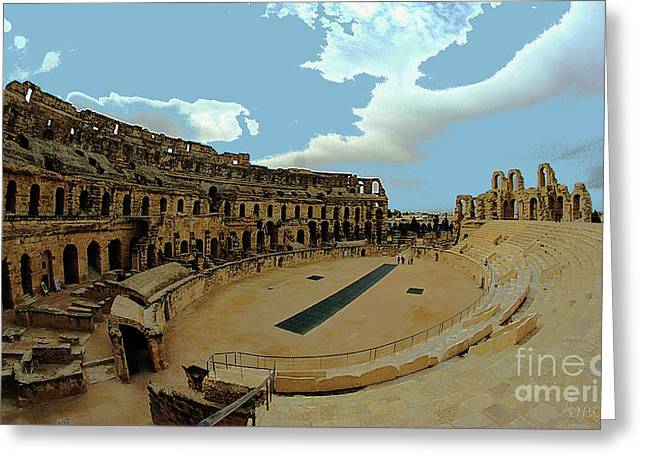 Amphitheatre Of El Jem Tunisia is a photograph by Amalia Suruceanu which was uploaded on January 20th, 2013. 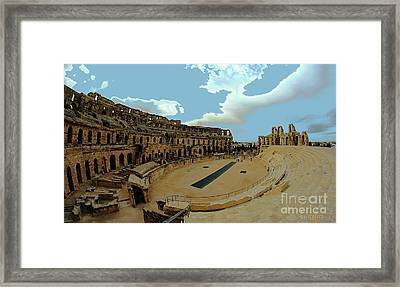 The Amphitheatre of El Jem bears outstanding witness to Roman architecture, notably monuments built for spectator events, in Africa. Located in a plain in the centre of Tunisia, this amphitheatre is built entirely of stone blocks, with no foundations and free-standing. In this respect it is modelled on the Coliseum of Rome without being an exact copy of the Flavian construction. 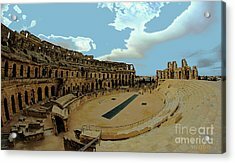 Its size (big axis of 148 metres and small axis 122 metres) and its capacity (judged to be 35,000 spectators) make it without a doubt among the largest amphitheatres in the world. 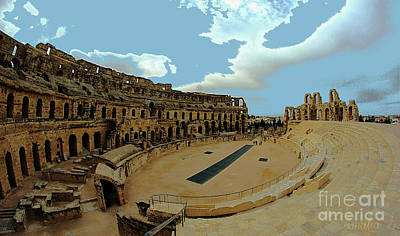 Its facade comprises three levels of arcades of Corinthian or composite style. Thank you so much, Alga!